We heard about Alan Turing for the first time in September 2009, when we read Prime Minister Gordon Brown’s op-ed in The Telegraph. In the piece, Brown apologized on behalf of the British government for their mistreatment of Turing during and after World War II. We were struck by the fact that we’d never heard of this man, and mystified to see him receiving such a belated apology. The more we researched, the more we became inspired by his story. It felt completely absorbing, disturbing, even prescient. We were astounded to find that, despite the profound contributions Turing had made to the world, he was a relative unknown in American popular culture. In no time, we became, quite frankly, obsessed with him and the idea of making a movie about his life. From our television background, we knew the importance of intellectual property in terms of legitimizing a pitch. After researching Alan’s life, it was clear that Andrew Hodges’s book Alan Turing: The Enigma was the perfect place to start: a biography that balanced the emotional elements of Alan’s life along with his major contributions to math, science and politics. Nora flew to London and set a meeting with Andrew in order to share our passion for his book and our commitment to shepherding the project to the big screen. Shortly thereafter, we optioned the rights. Nora met our screenwriter, Graham Moore, when she was a television executive staffing a pilot that never went to series. They remained in touch over the years. One night Nora was hosting a party at her house when someone asked her where she was working. In order to avoid getting any unwanted pity (she was still looking for work), she talked up the Alan Turing project, saying she was thrilled to have optioned Hodges’s biography. 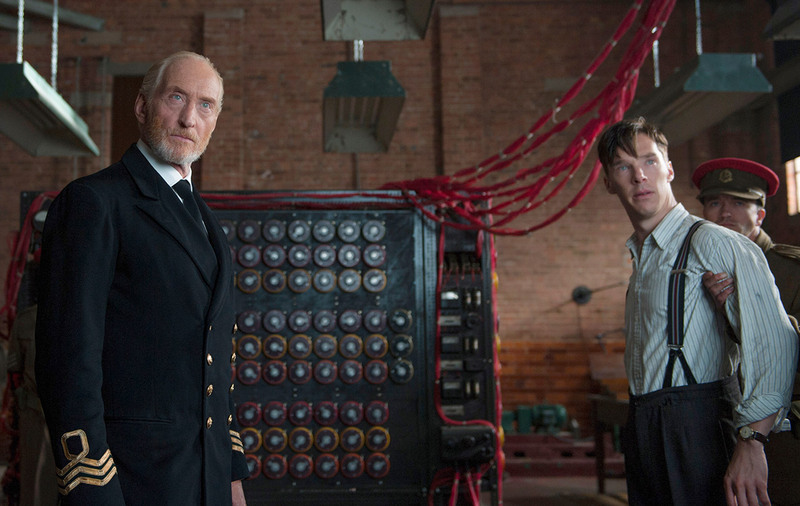 Graham overheard and said it was a lifelong wish of his to write the Turing biopic. He had dreamed of doing it ever since he was a teenager at space camp. He sent his unreleased book, The Sherlockian, as a sample, and when we read it, we felt it had the suspense, period detail and character work necessary to do justice to Alan’s story. 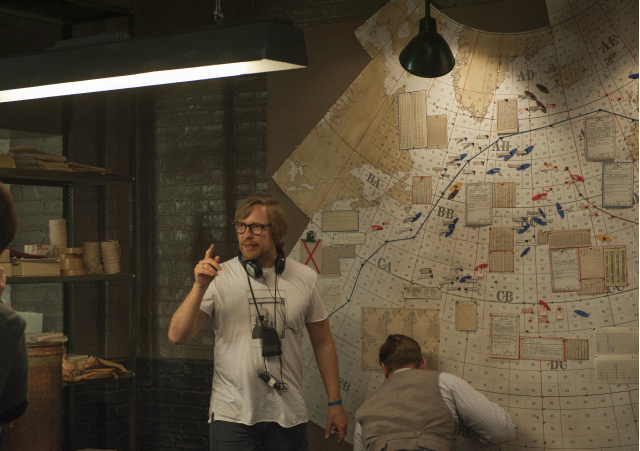 Over the course of the next year, we worked on four drafts of The Imitation Game with Graham. We had moved on to other jobs by then, yet our real passion was this side project. We were in constant communication with him to share our notes, and treated him to dinners as often as possible in order to talk it all over. Finally, in 2011, Graham convinced us to let him hand in the script to his representatives at CAA. His agent called us to say that she loved what he had written and would help us set it up. That December, the screenplay made the Black List. 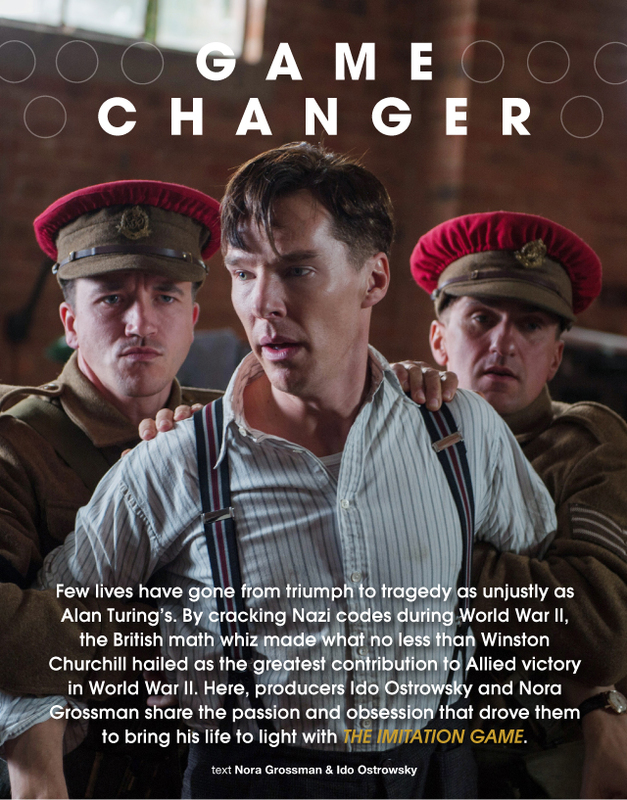 Suddenly, Alan Turing was the talk of the town. Or of Hollywood, anyway. Since word-of-mouth on the script was positive, rumors of talent interest heated up in the next couple of months and we got an offer from a studio. Though ultimately the stars didn’t align with them, they were incredibly gracious and gave us their blessing to set it up elsewhere. When the project became available again, we were terrified that it would be impossible to resurrect. It was August of 2012, and the last most people had heard of it was when it was featured on the Black List the previous year. We felt more than ever that the priority was to get this film made, and get it made at the right home. When we met with Teddy Schwarzman at Black Bear Pictures, we knew instantly he was the right fit. 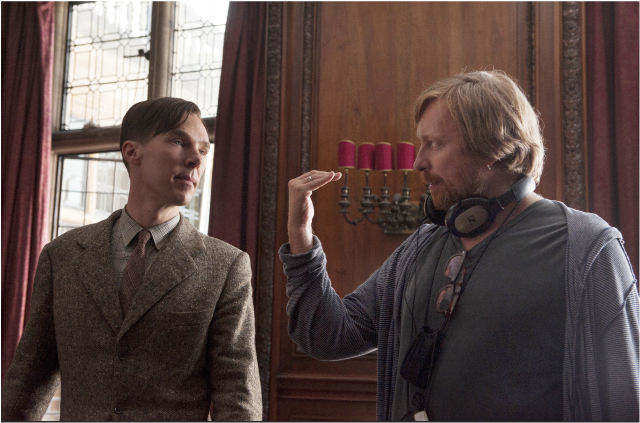 He brought impressive experience, creativity and a solid, honest commitment to get The Imitation Game into production. Unbeknownst to us, Teddy had been pursuing the project for years, even before we set it up at a studio. We trusted him, and a partnership was born. The three of us would end up being on set together every day. Our first step was choosing a director. 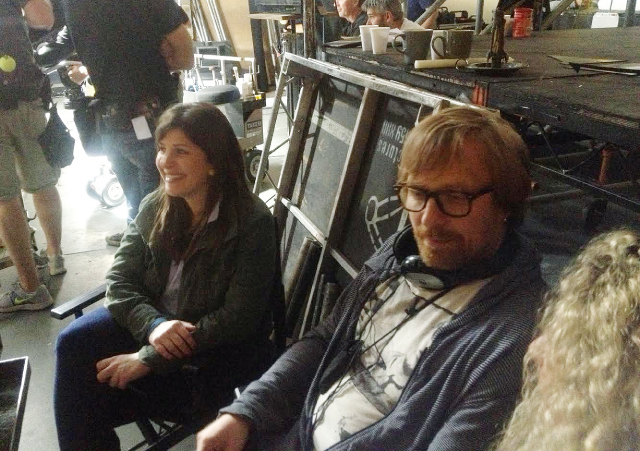 Teddy brilliantly suggested that we meet with Norwegian filmmaker Morten Tyldum. We watched his acclaimed and successful film, Headhunters, and found that it had so many of the same elements we needed in The Imitation Game: a sense of propulsion, a character study, a touch of levity and a tremendous amount of artistry. When we met with Morten, we found that he was incredibly passionate and somehow already knew how every scene should look. It felt like he had the script memorized. 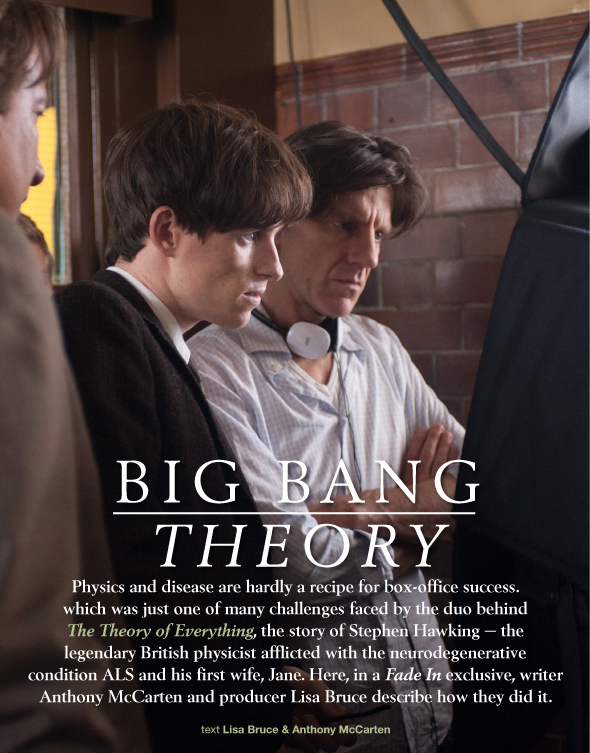 He talked about feeling like an outsider himself in Hollywood, and was desperate to tell Turing’s story. Fortunately, he wasn’t alone. Benedict Cumberbatch had been tracking the project since it was at a studio; in fact, we met with him at the time and were blown away by his nuanced, brilliant take on how to portray Alan. So when Morten said Benedict was his first choice, we knew that we had to get them to meet. During that meeting, Morten was trying to convince Benedict to take the role, while Benedict was equally passionate about convincing Morten to let him play it. We joke now that they were angrily agreeing with each other. Interestingly, Keira Knightley had been tracking Turing’s story ever since we had first read Gordon Brown’s apology. She even brought it up to her agent at the time. So when Morten offered her the Joan Clarke role, she was both familiar with the subject matter and incredibly passionate about coming on board. With Morten at the helm and a tight timeline, we put together an incredible team in time for a fall 2013 shoot in London. Over the years, the development process had its share of heartbreak and stress, but nothing could quite prepare us for the anxiety and intensity of production. It’s demanding and time-consuming, but we couldn’t have asked for a better crew. Whether it was a location falling through at the last minute, or an unexpectedly sunny day when we needed to create rain and clouds, our team pulled through time and time again. 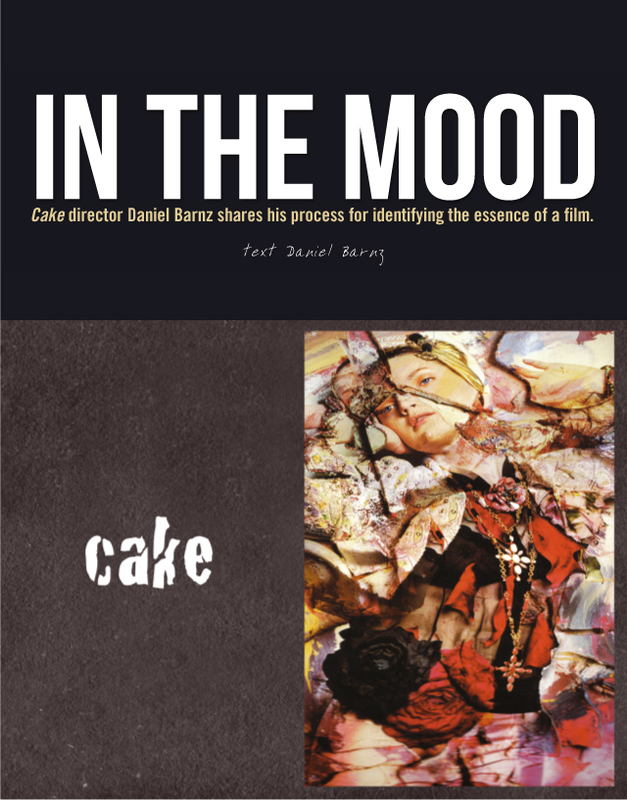 On an indie budget, with challenging time constraints, that counts for a lot. We were working without a net, and we knew it. Incredibly, we were able to use some of the real locations that shaped Alan’s life: Bletchley Park, as well as Sherborne, the school he actually attended. We saw Alan’s work desk at Bletchley and sat in the classrooms where he first fell in love with cryptography as a young man. For the whole cast and crew, this was a real privilege — windows into Alan’s secret world. A crucial turning point came for us in February of 2014, when we screened footage from the film at the European Film Market in Berlin. The Weinstein Company expressed a sincere desire to partner with us, and we were all won over by their tenacity and passion. We rode the wave all the way to the Telluride Film Festival, where it world premiered, and then on to Toronto, where it was honored with the festival’s Audience Award. We’re still pinching ourselves over that. After five years of development, we hope Alan’s life — with its blend of extreme triumph and tragedy — speaks to audiences in the deep and profound way it has spoken to us. Though his life was tragically cut short, we’re proud to be a part of making sure his memory lives on.